On Wednesday, Nov. 21, the varsity wrestlers traveled to Lovett for four tough dual matches. The team beat Haralson and Walnut Grove, but lost to Chattooga and Lovett. The Lovett match was tied 42-42 at the end, but Pace ultimately lost on the eighth tiebreaker criteria. Individually, senior Charlie Warren led the way for the Knights, going 4–0 with four pins. 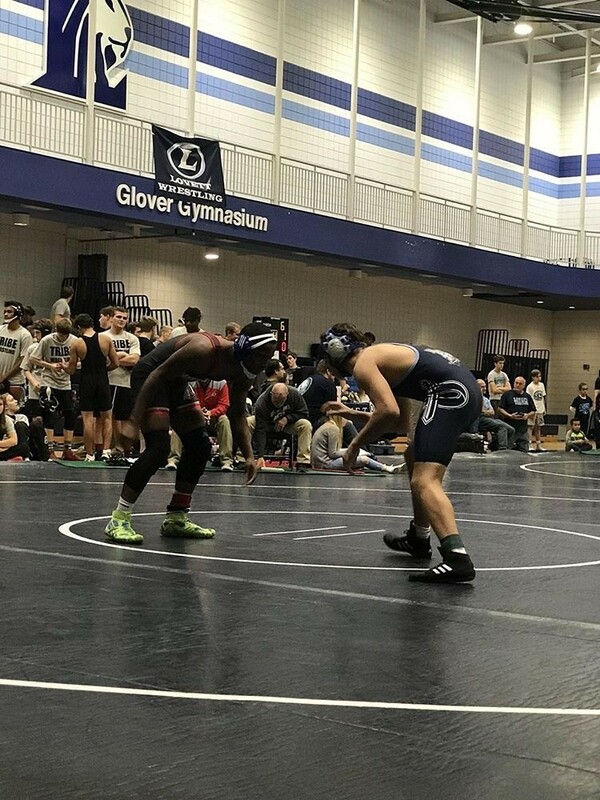 Freshmen lightweights George Blaha and Ben Schiffer alternated between the 106-pound and 113-pound weight classes and were both 3–1 on the day. Senior Harrison Husk and junior Blaise Reyes finished with two pins each. Freshmen Sam Howe, Jack Warren and Xavier Agostino each earned one pin. The Knights wrestle again on Saturday, Dec. 1, at the Westminster Duals. 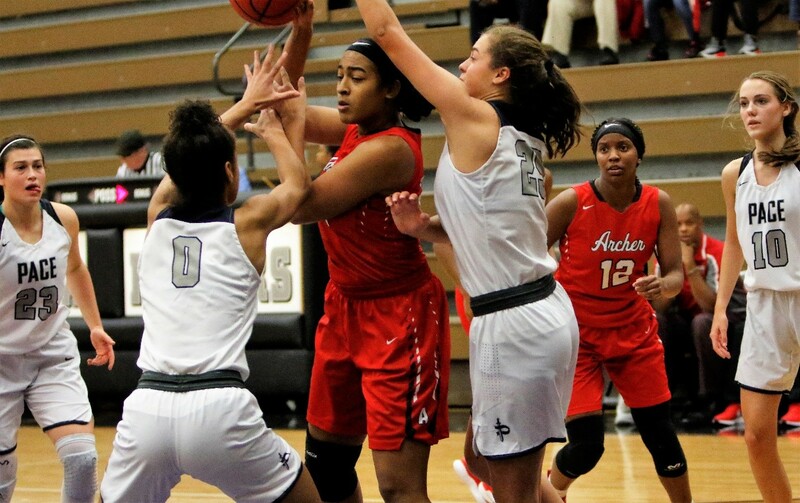 On the heels of an impressive victory over Starr's Mill on Nov. 19, the Knights' challenging schedule continued with another 7A opponent, Archer High School from Lawrenceville. Pace's defense held strong to start the game, allowing only 9 points in the first quarter. Senior Ann Rafeedie led the Knights in scoring with 11 points and three steals. Senior Kayla Ross was a terror on defense with five steals, five blocks and six rebounds. Archer leveraged their size advantage in the second half, scoring 26 of their 28 second-half points in the paint and on the foul line. Pace kept it close down the stretch but points were elusive, especially from the foul line. The first stretch of the season has been filled with several state-ranked teams, and has proven to be one of the most competitive non-region schedules in Georgia (Collins Hill: first in 7A, North Forsyth: eighth in 7A, Marist: 10th in 4A, Wesleyan: first in A). The Knights have been battle-tested and are prepared to begin region play at home (tonight) Tuesday, Nov. 27 vs. Towers at 5:30 p.m. in the Inman Center. 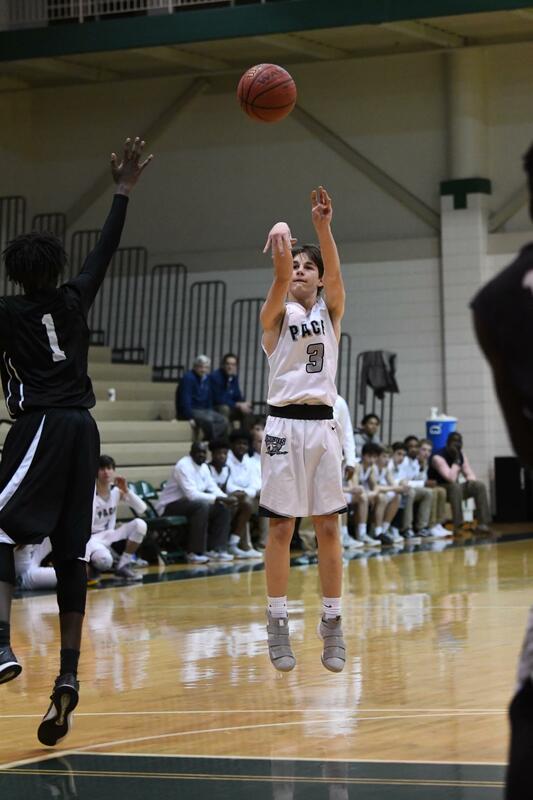 On Saturday, Nov. 24, the varsity boys basketball team participated in the prestigious Holiday Hoopsgiving Showcase at Holy Innocents' versus 5A Starr's Mill out of Fayetteville. Facing an Elite Eight team from last year with multiple college prospects, the Knights knew they would have to start better than they did against Creekview a week before. Sophomore Josh Mininberg and junior Reign Watkins ignited the team with early three-pointers and a 15-12 first-quarter lead. Sophomore Cole Middleton combated first-half foul trouble that limited his productivity, but sophomore Justin Johnson stepped up mightily in his absence as the Knights closed out the first half with a 23-18 lead. Defense continued to be on full display in the second half. The game's only offensive run came in the fourth quarter as senior Myles Todd stole the ball and streaked down the floor for a lay-up; then Watkins stole the ball and found Todd in the corner for a three, putting the Knights up 38-29. Defensive stops and late free throws carried the boys to a gritty 47-37 victory and pushes their record to 4-0. Overall, the Knights created timely turnovers and battled through the offensive woes. Middleton had 14 points, four rebounds and two blocks, followed by Mininberg with 11 points and three made three-pointers. Watkins added 9 points and two steals. Next up for the Knights: Region play begins with Towers at home (tonight) Tuesday, Nov. 27, at 7 p.m. Then, the team travels to Redan in Stone Mountain on Friday, Nov. 30, at 7 p.m. The Knights end the week Saturday, Dec. 1, hosting 4A runner-up St. Pius at 5 p.m. in the Inman Center.